Teeth are still susceptible to decay, infection, and breakage and sometimes need to be restored back to health. Through improved techniques and modern technology, we are now able to offer more options for restoring a tooth back to its normal shape, appearance and function. There are many types of filling materials available, each with their own advantages and disadvantages. You and Dr. Trujillo can discuss the best options for restoring your teeth with the appropriate materials. Amalgam fillings, along with composite (tooth colored) fillings, are the most widely used today. An amalgam filling is more commonly seen in the back teeth since the color is not as aesthetic as a composite filling. Dr. Trujillo will provide post-care instructions at the completion of your treatment. 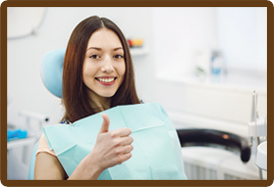 Good oral hygiene practices, eating habits, and regular dental visits will aid in the life of your new fillings. An inlay restoration is a custom made filling made of composite material, gold, or tooth-colored porcelain. It is made by a professional dental laboratory and is permanently cemented into the tooth by Dr. Trujillo. Dr. Trujillo will provide care instructions at the conclusion of your treatment. Good oral hygiene practices, a proper diet, and regular dental visits will aid in the life of your new inlay. 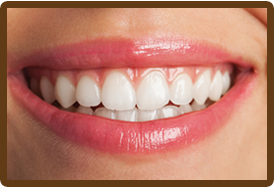 An onlay restoration is a custom made filling made of composite material, gold, or tooth-colored porcelain. An onlay is sometimes also referred to as a partial crown. It is made by a professional dental laboratory and is permanently cemented onto the tooth by Dr. Trujillo. 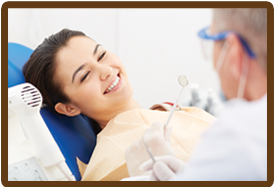 While the tooth is numb, Dr. Trujillo will remove any decay and/or old filling materials. The space will then be thoroughly cleaned and carefully prepared, shaping the surface to properly fit an onlay restoration. A temporary filling will be applied to protect the tooth while your onlay is made by a dental laboratory. Dr. Trujillo will provide care instructions at the conclusion of your treatment. Good oral hygiene practices, a proper diet, and regular dental visits will aid in the life of your new onlay. A composite (tooth colored) filling is used to repair a tooth affected by cavities (decay), cracks, fractures, etc. The decayed or affected portion of the tooth will be removed and then filled with a composite filling. Dr. Trujillo will provide care instructions at the conclusion of your treatment. Good oral hygiene practices, eating habits, and regular dental visits will aid in the life of your new fillings.